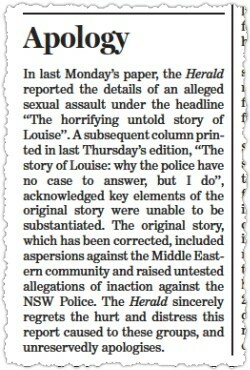 How Fairfax and Paul Sheehan bought the lies told by "Louise"
Fairfax has today apologised for publishing the story of "Louise", who said she'd been raped by Middle Eastern men. But alarm bells should have been ringing long before the article went to print, write Nicky Bryson and Myriam Robin. 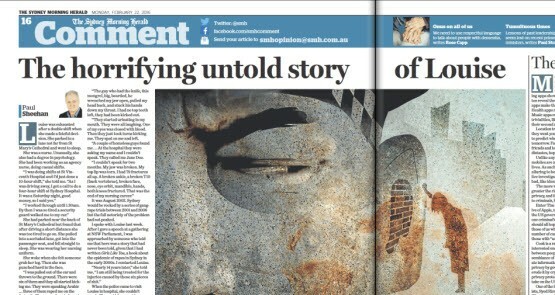 A week after the story of "Louise", who claimed she had been gang-raped by Middle Eastern men, was first splashed on the front page, and four days after Paul Sheehan acknowledged how it all fell apart, The Sydney Morning Herald this morning broke its silence on how one of its senior writers published a story of horrific abuse and bureaucratic indifference that was, probably, false. But the paper maintains Sheehan's line that "key elements of the story were unable to be substantiated", despite the wealth of evidence that the story told to Sheehan was highly unlikely, and should have raised red flags for both Sheehan and his editors. The author of Skin in the Game explains the slightly awkward process of learning how to interview Australia's best known true crime writer. The Yahoo7 reporter who caused the jury in a murder trial to be dismissed through sloppy reporting has faced court. And the judge says he's not buying her excuse. Boris did not invent euroscepticism, but he perfected it. 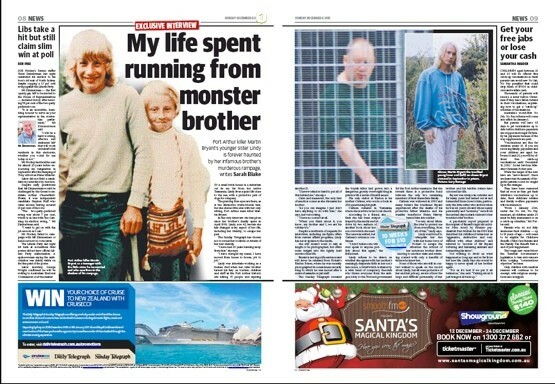 The sister of one of Australia's most infamous murderers told a News Corp journalist she didn't want to be interviewed. But her quotes made it into the paper anyway. James Button's account of his time working in the Department of Prime Minister and Cabinet is set to further strain the public service's rigid insistence on complete confidentiality. 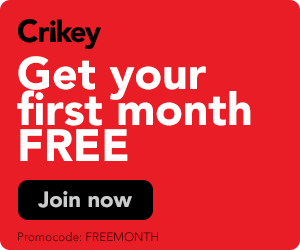 He talks to Crikey.